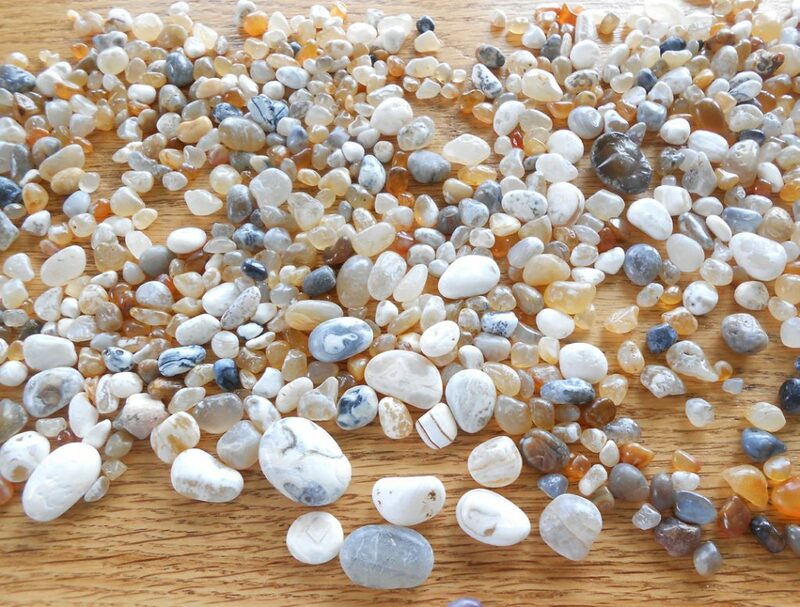 Winter and spring are the best times to hunt agates—sparkly semiprecious stones that surface in shifting sands. Agates embed a walkway at the Port of Bandon. 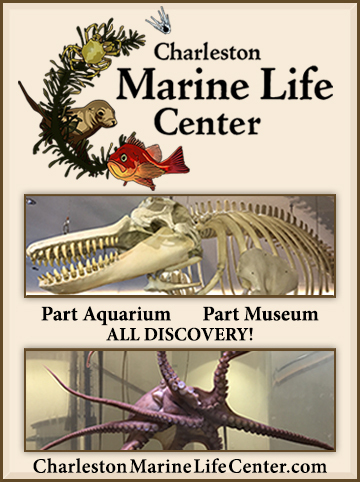 HUNTING AGATES IS a favorite pastime when in Port Orford. 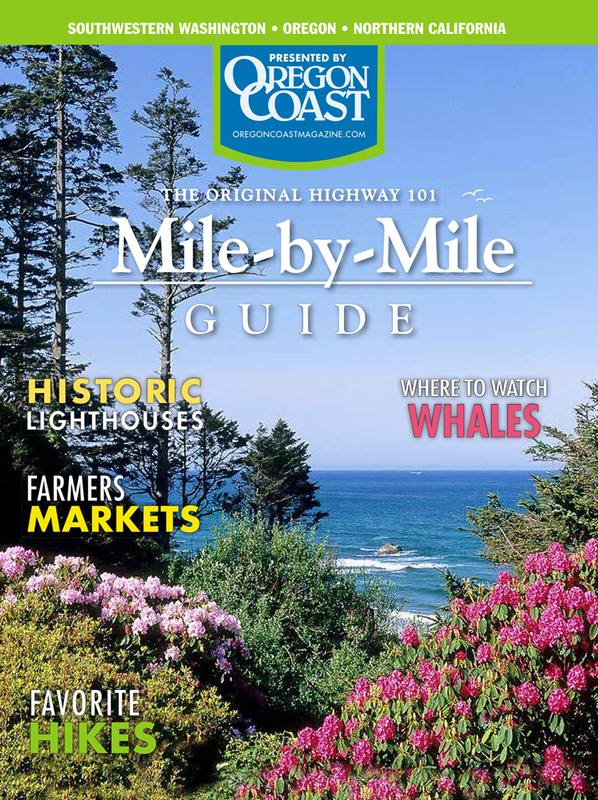 Whether you are a short-term visitor or a long-time resident, searching the beaches for those sought-after treasures is a compelling and addictive pursuit. 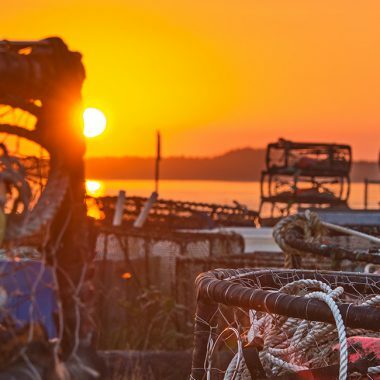 You would be hard-pressed to find a house or business in this town without a jar on a window-sill or a bowl on a table filled with the tantalizing gems. I myself have hundreds of the precious jewels—in vases and goblets, white, yellow, black, grey, amber, one rare pink one, and an even rarer purple agate. I love to view them atop a lighted LED flashlight, enhancing the markings inside and the geometric patterns and swirls that adorn them and make each one unique. Agates are part of the chalcedony family, a variety of quartz. They have distinct bands that differ in color and translucency. They are semi-precious stones, singular in the fact that there are no two alike. Translucent in the light, in different shapes, sizes, colors, and markings, each one is truly one-of-a-kind. And the feel—like silk, smooth and sensual to the touch. A grouping of agates collected over the years by the author. Much has been written about how they form (air pockets in ancient volcanic lava), different types of agates (based on formation or location), their physical properties, even supposed metaphysical properties. But the truth is, agate hunting on the beach is just fun, even exciting. And once you find one, you won’t want to quit, despite getting a neck ache from so much looking down. 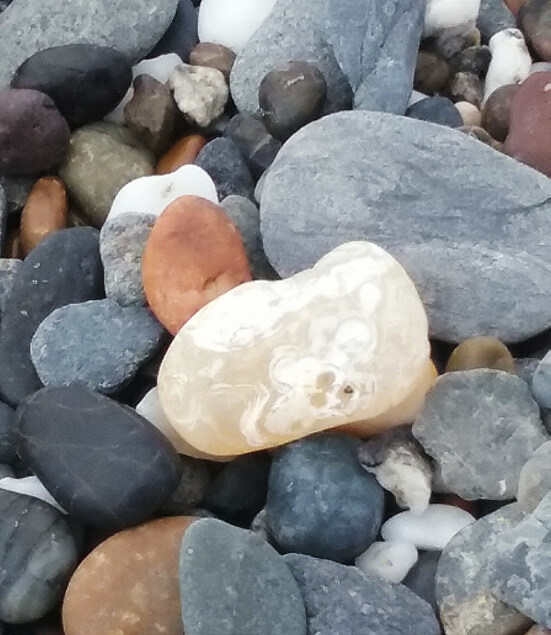 The supply of agates is renewed each year in winter and early spring as ocean storms shift the sands of the beach to reveal new layers of gravel. Best time to hunt is on the outgoing tide, when the water repeatedly agitates the stones, wetting them, making them easier to spot. 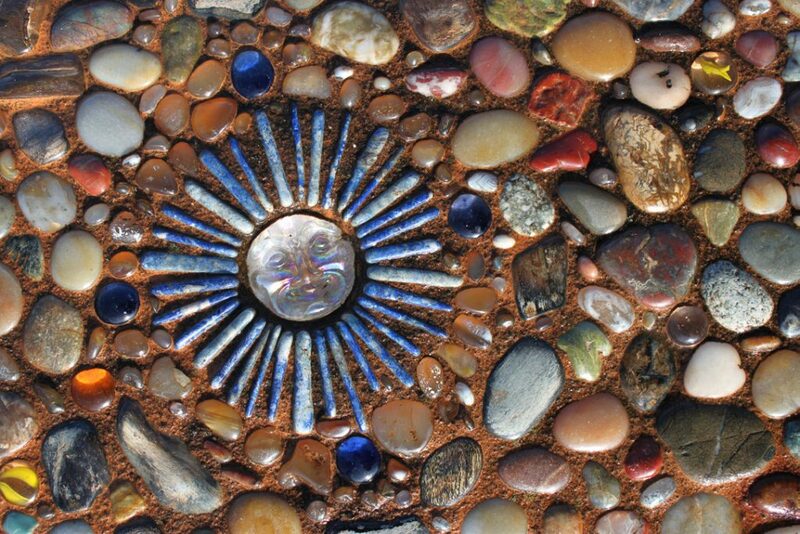 And by walking into the sun, the sparkle of an agate will catch your eye. 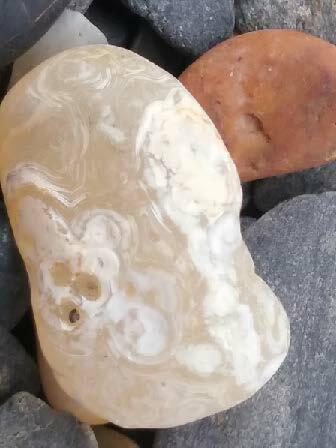 Agate Beach (now Tseriadun State Recreation Site) in Port Orford isn’t the only place to find agates. 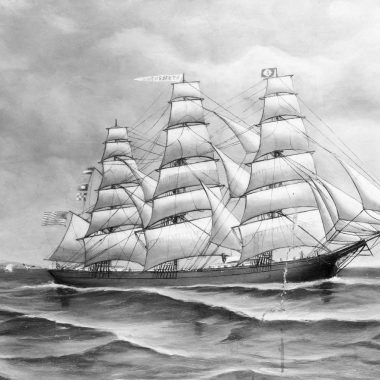 I have found them as far south as Hubbard Beach in the same town and on beaches all the way north to Floras Lake. And farther north, Newport is rather famous for agate hunting. 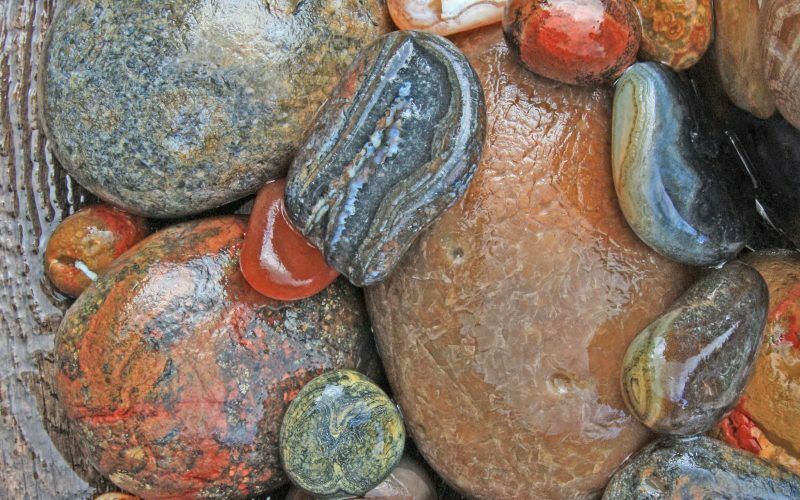 Yachats even has an annual Agate Festival (January 13–14, 2018). 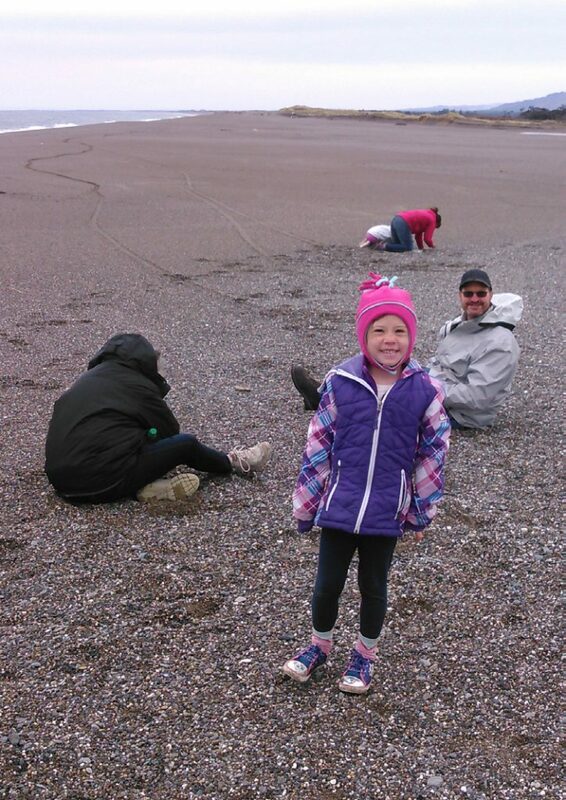 A family enjoys searching for agates on Agate Beach in Port Orford. So, when on a beach in Oregon, take a walk, find a loose gravel area that is wet from a receding tide, and look down. You might just find something sparkly. And if you are not sure whether you have found one or not, there are many YouTube videos that show you how you can tell.